The Thater Special Edition brushes arrived yesterday and are now up on my site available for purchase. 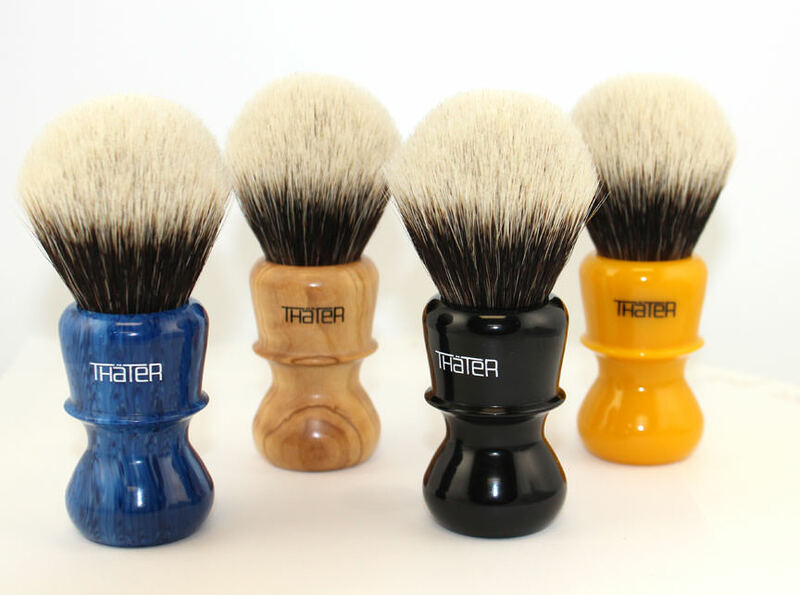 Thater sourced the handle material from Spain (a special resin and wild olive wood) and stuffed the brushes with a high grade of two band silvertip badger hair. They formed the knots into a new shape that they refer to as fan rounded. These should be great all around brushes.